The Gaslighting Lucky 13 Launch Giveaway! Sorry - too late! Deadline for entries was the 31st July 2017! If you would like a signed paperback keep an eye out for my newsletters! I have another TEN fantastic reads I've selected from among my generous author friends who are gifting signed copies of their books too, making a grand prize of 'LUCKY 13' paperbacks... You'd be daft not to enter! A cracking historical thriller from Paula Wynne, two dark metaphysical tales from Chariss Walker, a brilliant debut thriller from Gregg Dunnett, the first instalment of Ken Preston's amazing cross genre series, and a dark crime thriller from former SOCO/CSI author Andrew Barrett. In addition, I have two 'Tartan noir' crime chillers signed by internationally renowned thriller writer Stuart MacBride! Stuart's novels have been favourably compared to my work by some of my more enthusiastic readers - something I would never presume to do with any other author's work, though I think my tales could be described as 'Cockney noir'! One is an incredible true story about a London crime family 'bad boy' who finds 'Redemption' through sport. This biography is beautifully written by best-selling author Mark Turley. 'Firewoman' is a highly entertaining autobiography that tells the fascinating story of my friend Josephine Reynolds who was the very first female firefighter in the UK. Given her track record of recent TV appearances discussing the book I expect to see her on Oprah some time soon! You can find out more about the authors and their books below and by clicking on the links or covers. The inspiring true story of Josephine Reynolds, Britain's first full-time female firefighter. When Josephine Reynolds signed up with the Norfolk Fire Service in July 1982 at just seventeen years old, there was no such thing as a firefighter - only fire men. Set against the slate-grey backdrop of early 1980s Britain, Fire Woman is the story of how a young woman brought up in rural Wales coped in the testosterone-fuelled world of the fire brigade, where even today 96 per cent of all staff are male. In a life packed with incident - where lethal forest fires, escaped zoo animals and unexploded bombs formed a background to the everyday toll of death and disaster - Josephine experienced both triumph and heartbreaking personal tragedy. Fire Woman also provides a unique insight into the camaraderie that comes with risking your life on a daily basis and stands as the inspiring true story of an extraordinary young woman who took on a man's world and won, becoming Britain's first full-time firefighter. The fascinating, frightening and inspirational biographical tale of former career criminal, now world-record holder and endurance athlete John McAvoy. Born into a notorious London crime family, his uncle Micky was one of the key players in the legendary Brink's-Mat gold bullion caper. John bought his first gun at 16 and carved out a lucrative career in armed robbery. At one point he was one of Britain's most-wanted men. It took two spells in prison and the death of a friend on a botched heist to change his path. During his second stint in jail he discovered a miraculous natural talent while serving life in the Belmarsh high security unit - where fellow inmates included Abu Hamza, the hook-handed extremist cleric, and the 7/7 bombers. John broke three world rowing records while still an inmate and since his release has become one of the UK's leading Ironman competitors. He aims to turn pro in 2016 after competing in the European championships in Frankfurt. Redemption is the ultimate story of sporting salvation. 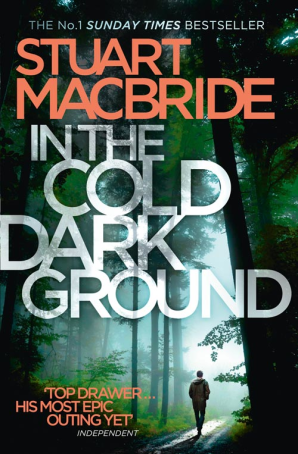 Stuart MacBride is the Sunday Times bestselling author of the Logan McRae & Ash Henderson novels. He was crowned World Stovies Champion in 2014 and awarded an honorary doctorate by Dundee University in 2015. Birthdays for the Dead - The Number One bestselling crime thriller from the award-winning Stuart MacBride. 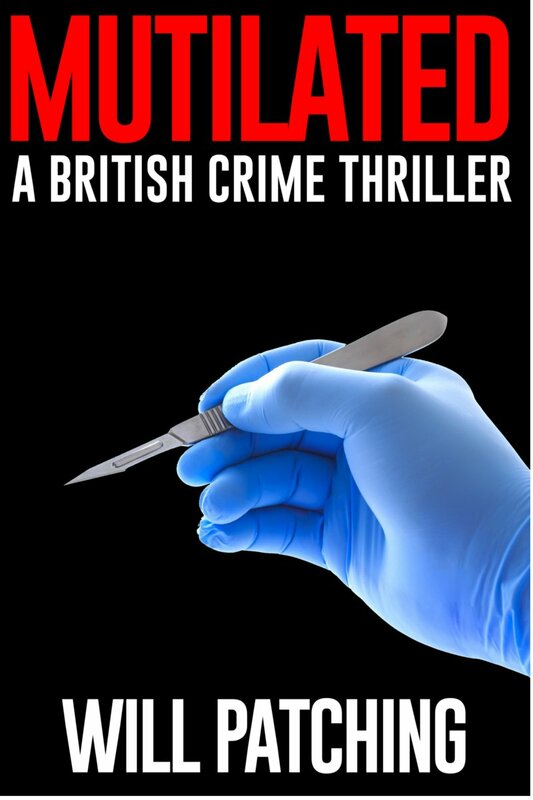 A bloody, brilliant and brutal story of murder, kidnap and revenge. Five years ago his daughter, Rebecca, went missing on the eve of her thirteenth birthday. A year later the first card arrived: home-made, with a Polaroid picture stuck to the front – Rebecca, strapped to a chair, gagged and terrified. Every year another card: each one worse than the last. The tabloids call him ‘The Birthday Boy’. He’s been snatching girls for twelve years, always just before their thirteenth birthday, killing them slowly, then torturing their families with his homemade cards. What if your best friend was a psychopath... And you didn’t notice? A psychological thriller with soul. Expat teenager Jesse forms a tight friendship with charismatic local surfer John, but as their bond grows, a darker side to John emerges. Will Jesse notice before it's too late? Newly qualified psychologist Natalie's life falls apart when her husband Jim is lost at sea. Was it a tragic accident, or something more? A mysterious phone call sets Natalie on a path to discover the truth, but as she delves deeper her own demons may come back to haunt her. Get set for a page-turning ride as these stories crash together with a twist that's been described as mind-blowing, shocking, and unmissable. The Wave at Hanging Rock is the debut novel from British writer Gregg Dunnett. Since publication in September 2016 it’s collected more than 500 five star reviews across Amazon, been shortlisted for the Chanticleer Award for the best mystery/suspense novel of 2016/17, been translated into Russian and Spanish, with an audiobook deal now signed. On the day that Joe Coffin, hitman for Birmingham gang The Slaughterhouse Mob, is released from jail he has nothing but murder on his mind. While inside his wife and young son were killed, and now he is out for bloody revenge. The problem is, Coffin’s enemies are circling, and his wife might not be quite as dead as she should be. A healing herb kept secret for centuries. A TV show host who stands to lose everything. In a race against a conspiracy who want the herb’s power, she struggles to piece together the puzzle and follow the trail her brother left to trace the mysterious plant before the deadly conspirators locate it. Described by readers as a must-have book for fans of Glenn Cooper, Kate Mosse and James Rollins. Serena McKay, Private Investigator, isn't your mother's favorite female sleuth. Enjoy the gritty story of a strong and feisty, albeit flawed, female private investigator that gets down and dirty solving crimes in this hard-boiled, dark-fiction thriller. Award-winning author, Chariss K. Walker, writes both fiction and nonfiction books with a metaphysical and spiritual component. Her fiction expresses a visionary/metaphysical message that illustrates growth in a character's consciousness while utilizing a paranormal aspect. Some see him as an angel, a redeemer. Others see him as the most terrifying demon imagined. He roams the city streets of New Orleans to save the innocent and punish the wicked in this very dark-fiction, supernatural thriller. 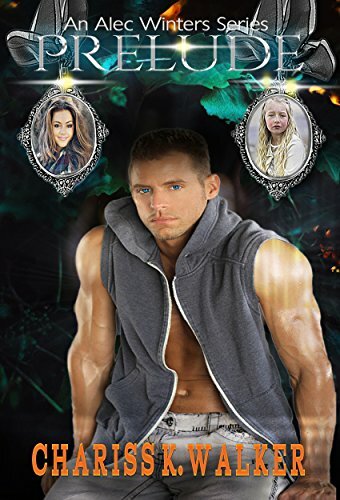 Prelude (An Alec Winters Series) introduces Alec as a teen...before his supernatural transformation to angel-demon. Meet Alec Winters when he’s sixteen years old. They say you can always trust a copper. They’re lying. A booby-trapped body in a long-abandoned chapel. A scene examination that goes horribly wrong. CSI Eddie Collins and DI Benson are injured and one of the team killed. Eddie is heartbroken and guilt-ridden. And angry. If you like fast-paced crime thrillers with a forensic slant, raw emotions, and characters that reach out of the book and grab you by the throat, you’ll love Andrew Barrett’s Eddie Collins series. 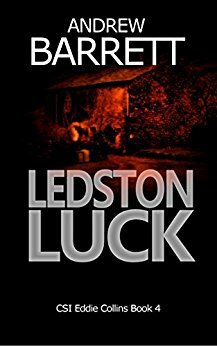 Obsession, lust and revenge... Part murder mystery, part psychological chiller, this unique, dark, serial killer thriller is a real page turner. Can Doc keep this madman behind bars — while hanging on to his own sanity? 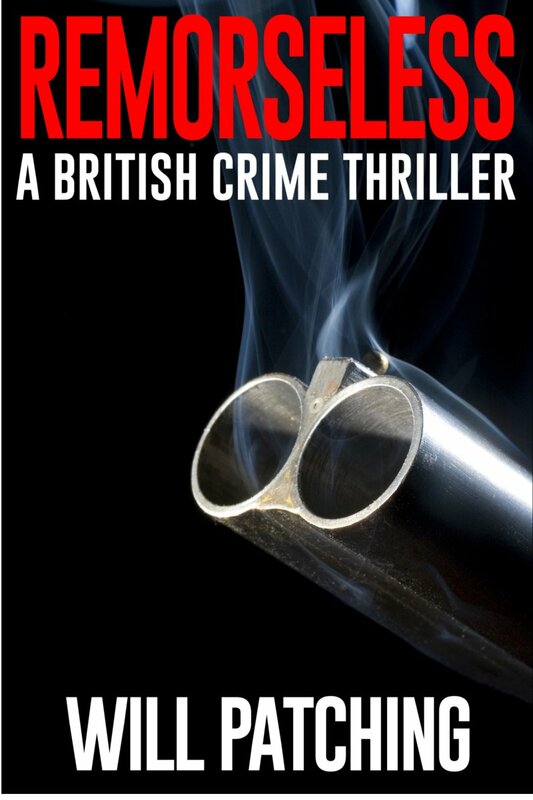 Murder, mystery and mayhem... An intense crime thriller, combining psychological chills, well drawn characters and plenty of twists and turns. 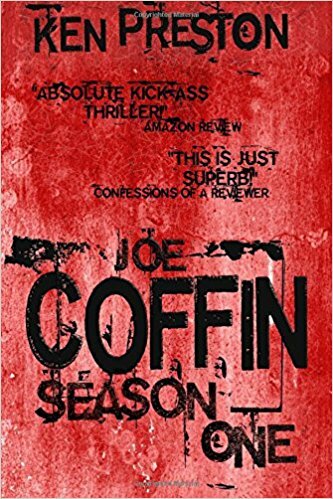 A serial killer challenges forensic psychiatrist, Doctor Colin Powers, to solve several cold case mutilation murders, while Detective Inspector Jack Carver investigates a newly dismembered victim. Is a criminal psychopath from Doc’s past somehow involved, despite having been incarcerated for two decades? Can they stop him achieving his aim of celebrating his 'coming of age' - a spectacular finale involving gasoline and explosives? The lad's mother and grandmother - the victims of his ongoing campaign of psychological torment - are in jeopardy. Find out the thrilling outcome in Gaslighting - the third and final novel in this dark, gritty, British Crime Thriller trilogy. To enter, just answer a simple question regarding my latest crime thriller, Gaslighting (see the entry form below). It's easy - just a single word that can be found in the final pages of the book. The answer can also be found in a post which will appear on my Facebook page linking to 'The Last Word' website page one week before the competition closes at midnight UK time on 31st July 2017. Sorry - too late - you missed your chance! Disclaimer and stuff: Entry is free and available to anyone over the age of 18 anywhere in the world where such prize draws are legal. If it's not legal where you are, please don't enter! Only one entry per person. Bots will automatically be disqualified as will multiple entries from one IP address. Entries with invalid or unresponsive email addresses will be disqualified. There is no obligation to purchase anything, ever, as the answer will be posted on this website and on my Facebook Author page on or before the weekend of the 14th July well before the competition closes on 31st July at midnight UK time. Hopefully, that makes this prize draw legal pretty much everywhere! A random number generator will be used to match the winning Member's entry number. Prizes will arrive some time in August or September 2017 and will be dependent on location and postal service vagaries so please be patient. There is no cash equivalent prize. Prizes awarded at the website owner's discretion.That's all from me. Good luck to everyone!